Black Obsidian Arrowhead Collection - 6-Pack | BUDK.com - Knives & Swords At The Lowest Prices! 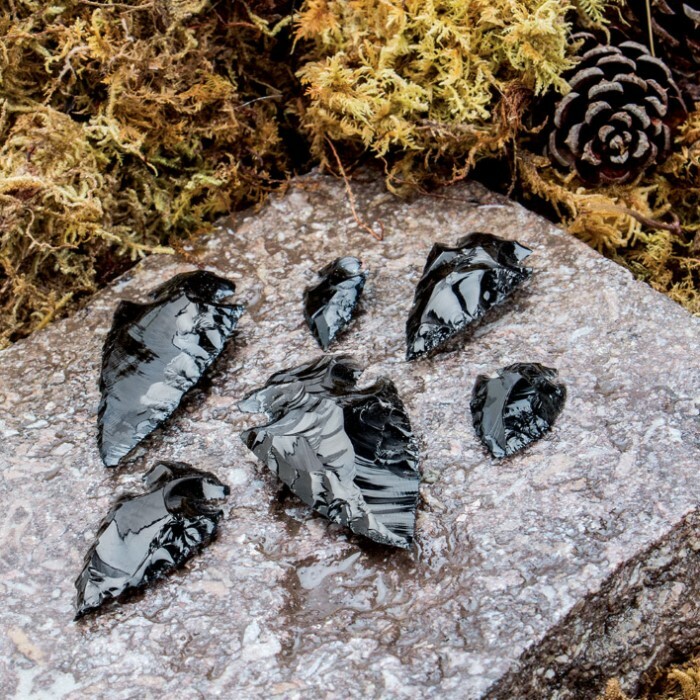 These unique arrowheads are contemporary and handmade from black obsidian - igneous glass produced from volcanic lava as it cools under precise conditions. Each arrowhead varies slightly as each one is unique. 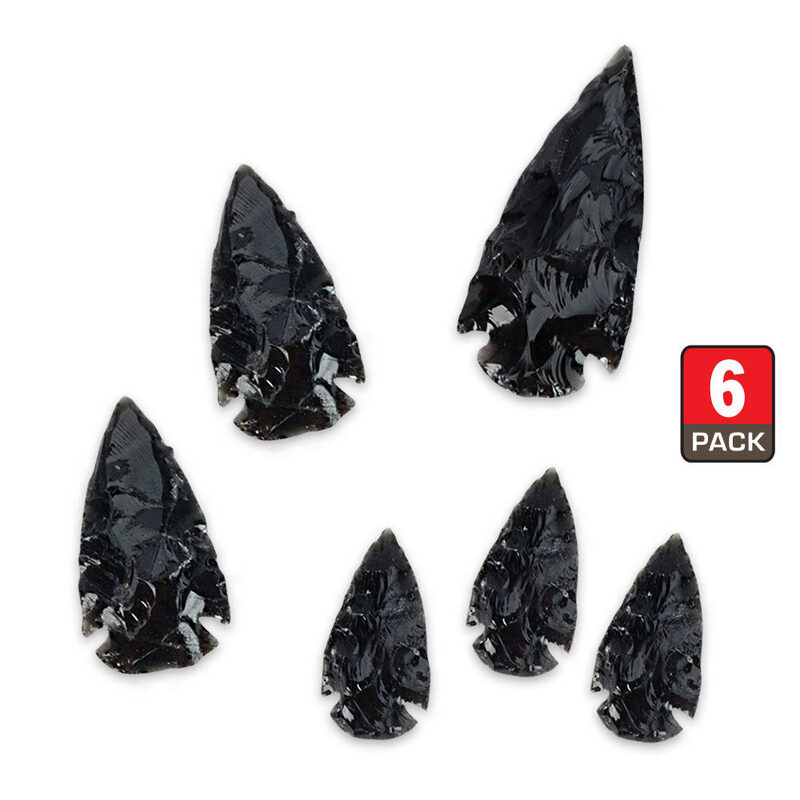 In this pack of six, you get three 1" arrowheads, two 1 1/2" arrowheads and one 2" arrowhead. Obsidian has always been one of my favorite materials, its just beautiful. Im so glad that BUDK has weapons made out of it! They are sharp and very good quality, and look just as nice as they do in the picture. Thank you BUDK! Good product. Very sharp since it is obsidian. Good for display. Worth the money. 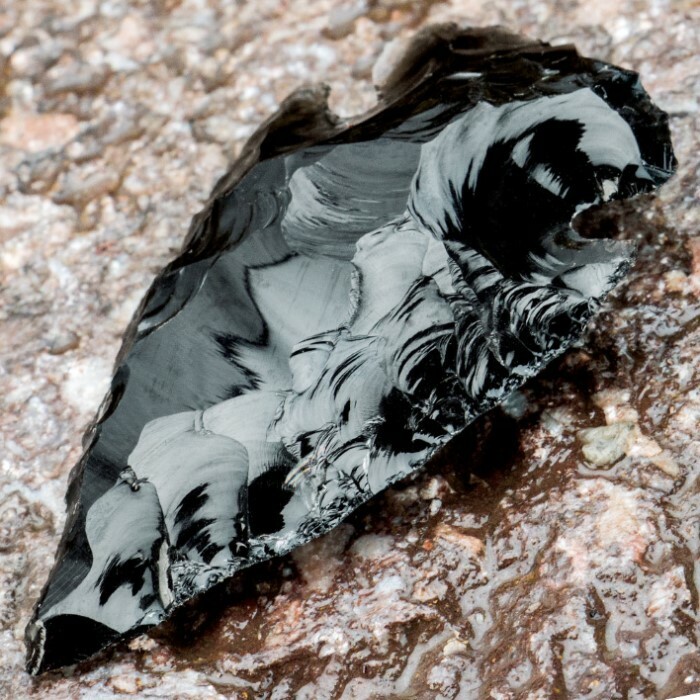 Instead of spending all that time at flint knapping if you want to hunt primitive, just buy these Obsidian heads. May require a little knapping.